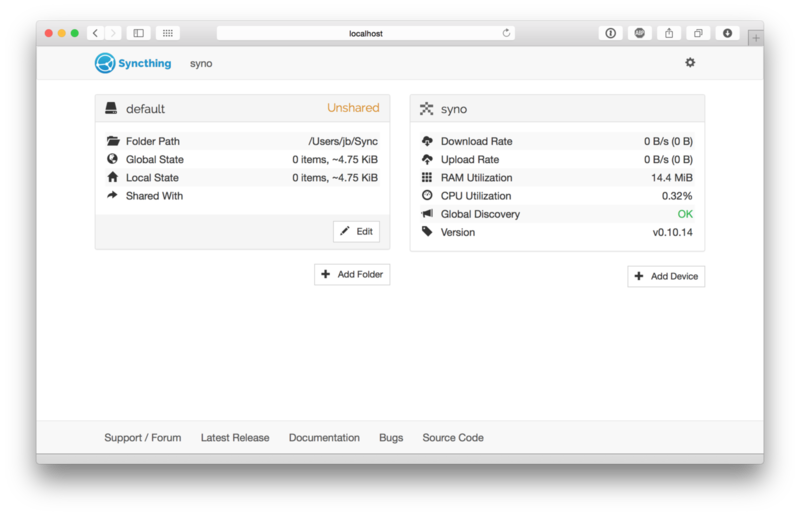 There are two methods for installing Syncthing on Ubuntu 16.04. 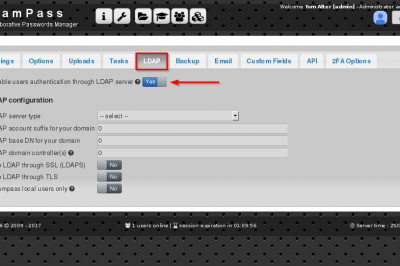 One method involves installing it using snapd tool. The other involves using the apt-get tool that auto-installs Syncthing on it. 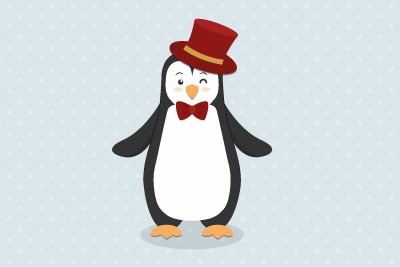 In this tutorial, you'll learn how to install, configure and synchronize directories on Ubuntu 16.04. The Syncthing installation package available in the official Ubuntu 16.04 repository may not be the latest version. 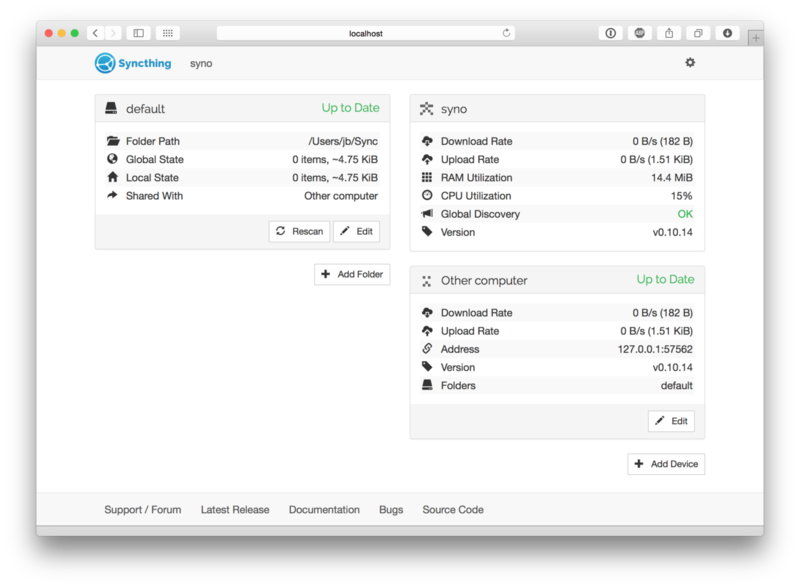 To get the latest and greatest version, install Syncthing from the official repository. This section shows you how to do just that. The release channel is updated with full release builds, approximately once every two weeks. Syncthing can be installed using the snap tool. For Syncthing to synchronize files with another device, it must be told about that device. This is accomplished by exchanging "device IDs". A device ID is a unique, cryptographically-secure identifier that is generated as part of the key generation the first time you start the tool. Two devices will only connect and talk to each other if they are both configured with each other’s device ID. 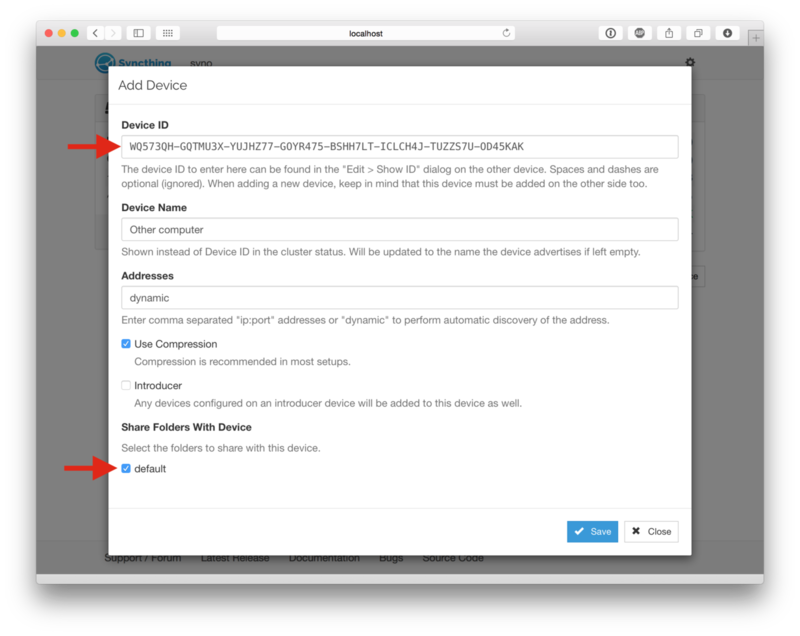 Since the configuration must be mutual for a connection to happen, device IDs don’t need to be kept secret. They are essentially part of the public key. Once you click “Save” the new device will appear on right side of the GUI (although disconnected) and a prompt will be shown to indicate the need for a restart. Syncthing needs to be restarted for some configuration changes to take effect, such as sharing folders with new devices. When you click “Restart” Syncthing will first restart. and then connect to the new device after a minute or so. Remember to repeat this step for the other device(s). At this point the two devices share an empty directory. Adding files to the shared directory on either device will synchronize those files to the other side. Each device scans for changes every 60 seconds, so changes can take a little over a minute to propagate to the other side, although some contributed wrappers include file system “watcher” features to speed this up. The rescan interval can be changed for each folder by clicking on a folder, clicking “Edit” and entering a new value for “Rescan Interval”. There's a whole lot more to Syncthing than has been given in this article, but this should be enough to getting you started working with it on Ubuntu 16.04. There is more documentation and if you run into trouble feel free to post a question in the support forum. 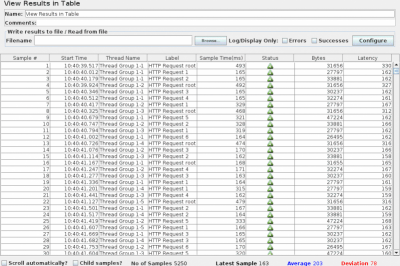 If you have problems getting devices to connect, first take a look at Firewall Setup, then look at any error messages in the GUI or on the console. Don’t forget that configuration changes will not be reflected instantly - give Syncthing a little time, especially after a restart.